Consumers of technology are more demanding than ever. Managed services are becoming more popular than ever as a technology consumption model for businesses—especially small and medium-sized businesses (SMBs). Additionally, hybrid cloud is gaining momentum at breakneck speed as the technology delivery model of choice for SMBs. The intersection of these three trends provides an incredible opportunity for MSPs to develop best practices that allow them to differentiate through Customer Experience (CX) Design. Embrace the mindset: The customers of MSPs are different from just a few years ago. The changes are driven in part by small businesses tapping into the advantages of cloud computing—and dealing with a technology shift can be stressful for the small business. We recommend tools that inspire visualization, foster creativity and allow an MSP to put itself in the shoes of its customers as they go through technology changes. An in-house favorite is the customer empathy map, an easy-to-use template that helps an MSP embrace the mindset of its customers. Gather insight: A Remote Monitoring and Management (RMM) tool, like Connectwise’s Labtech solution, can represent the essence of an MSP’s IT service delivery offering, and while the automation provided by an RMM tool can often get the spotlight, manual tools can also provide some very interesting CX insight. Remote control/connectivity solutions like Connectwise’s ScreenConnect tool provide a wealth of information. Remote connectivity tools allow an MSP to efficiently engage with customers, watch actions, and learn from a customer’s behavior and usage patterns without leaving their office—a user experience designer's dream! Making sense of it all: Now that you have this great information around customer thoughts and behaviors, it’s time to put it to use. 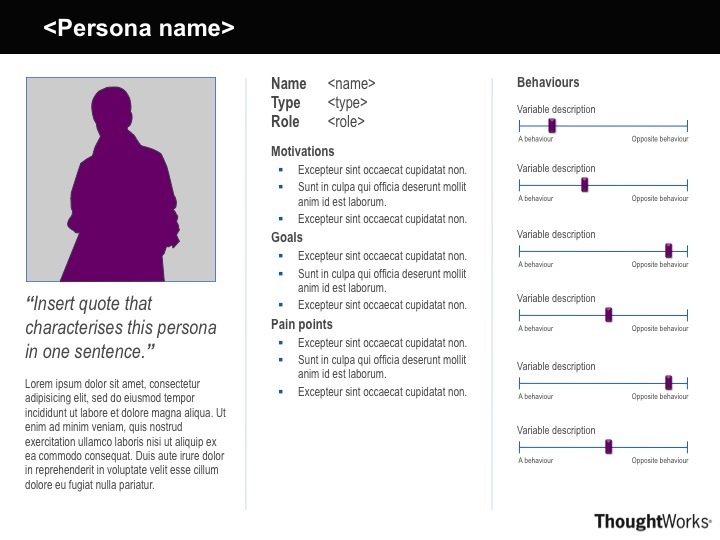 While there are volumes of design templates available to help novices and experts alike organize their customer research, there is one that stands out from the others: the Persona template. The persona template allows an MSP to organize their research work and create points of focus for the user types that are most important to their success. Leaping into action: Now it’s time to put the research to work. This is where an MSP redesigns the experience. 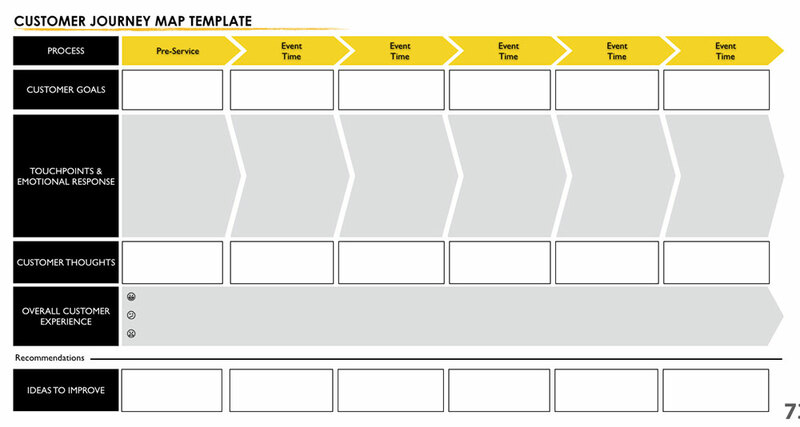 A Customer Journey Template allows the MSP to plot out goals, touch points, thoughts, experiences and improvements across a set of persona events. The key is for an MSP to find the point where desirability, feasibility and viability converge. This is where customer’s needs meet the MSP’s strategic business objectives. Put your listening ears on: Now that you have made a connection between customer needs and your strategic business objectives, it’s time to keep tabs on your progress. Hively, a cloud-based customer feedback and employee rewards solution, provides an incredibly simple and effective way to collect real-time feedback from customers. This solution lets team members know how they are doing on a transactional basis by allowing a customer to rate each and every experience while the opinion is top of mind. The execution of this five-step process allows an MSP to test strategies and tactics supporting a differentiated CX offering, but there is one last important element: speed. MSPs that execute on CX at a high level, leveraging the processes above or similar versions, are able to cycle quickly through the design steps and start learning from listening so that they can continuously improve the experience—a win-win for the MSP and their customers. That’s a real difference maker.